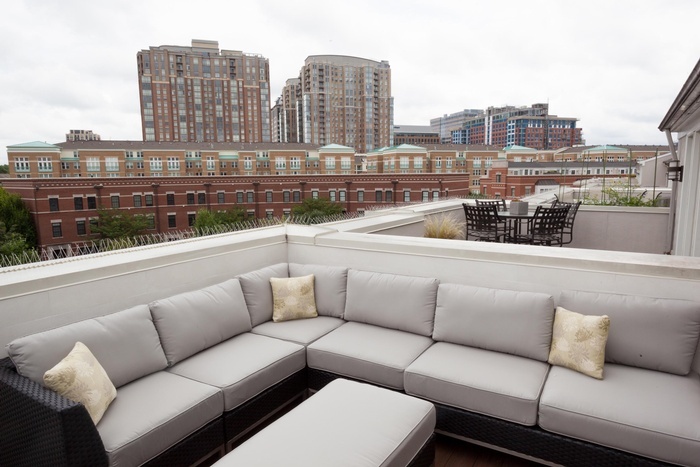 We were delighted when one of our past clients called us to ask for help in creating separate working spaces for her and her husband. The current home office was being shared, but the husband’s new job was going to allow telecommuting which meant he was going to “take over” the space. The office needed a makeover, but she also wanted a small, separate workspace of her own. 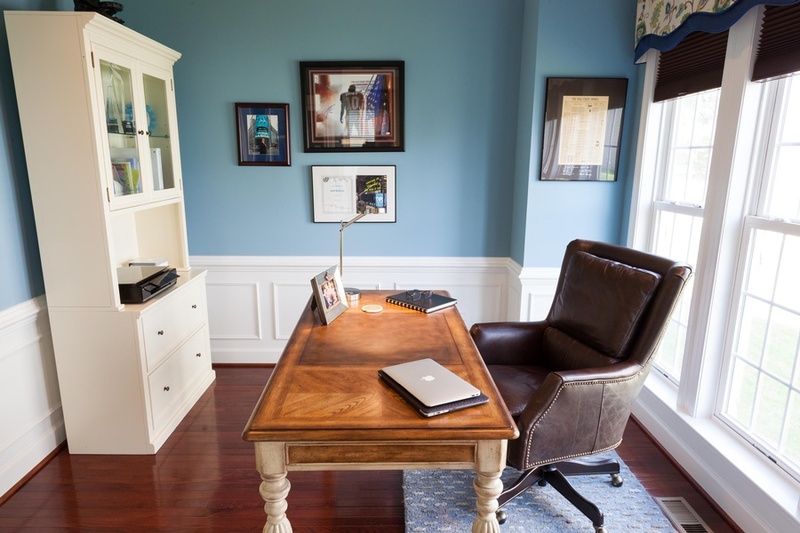 Having worked with this client in the past to redecorate almost all the other rooms in their home, Crystal Cline was excited to create the “His and Her” office spaces they desired. 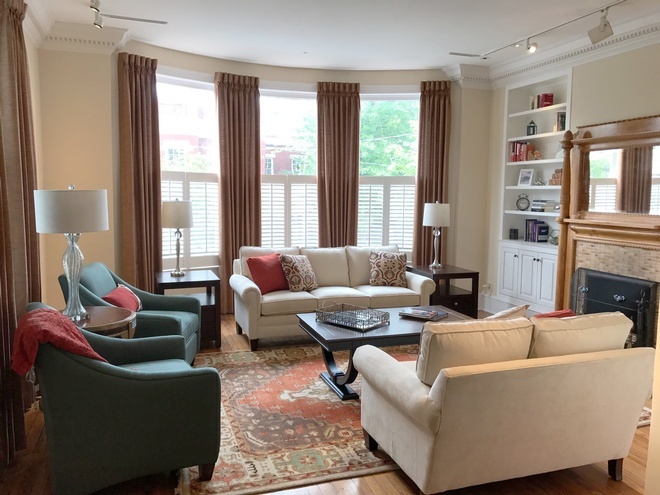 The clients wanted to make better use of their seldom used living room by combining seating and open areas for entertaining and a separate, small office space for her. 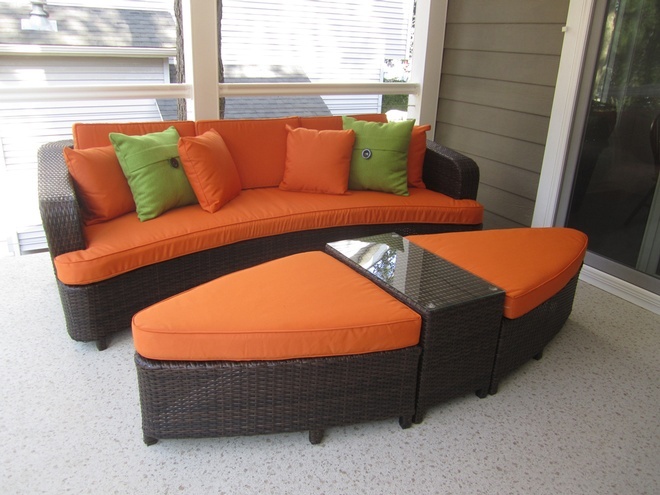 It was also important that the new updated seating, storage and desk furniture have an eclectic style and blend with all the work that Crystal had previously done. They did not want the living room to look like an office. A small workspace was created in the bay window area with a computer desk in an updated zinc finish. The curvy martini chair provides stylish functionality as a desk chair and additional seating. 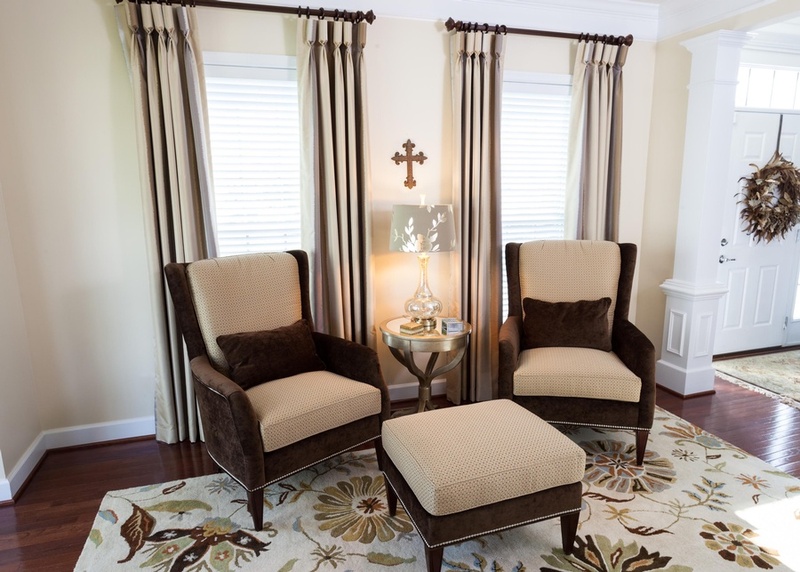 We added two comfy high back chairs and ottoman in two fabrics that compliment and tie all the colors of the room together, with a small accent table in between. 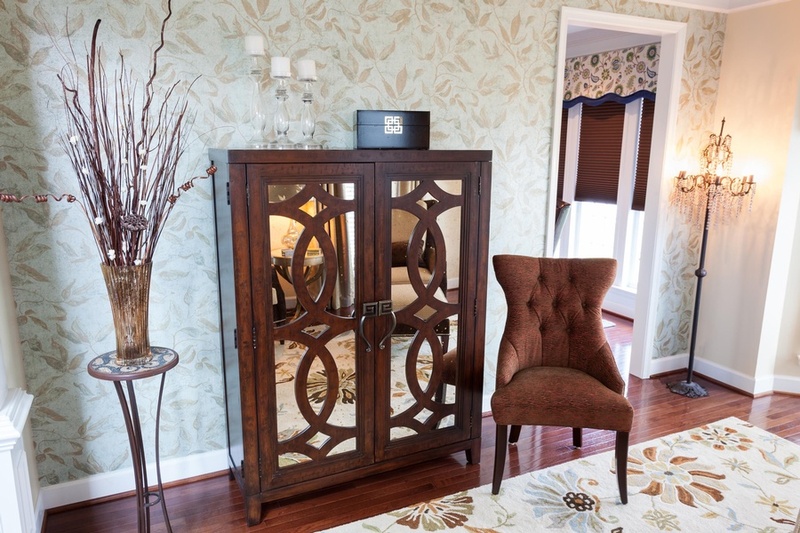 A bar cabinet offers great looking storage space. Right off the living room was the existing home office that was to become his space. 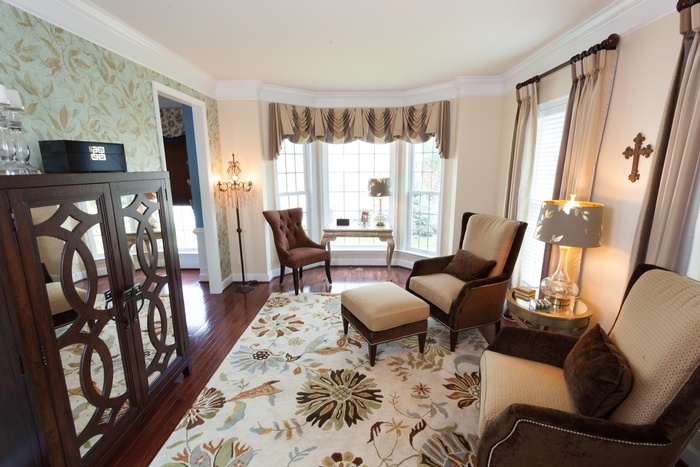 Decor and You placed a doorway between the two rooms to create a “suite”. This made the small adjoining office feel more open and spacious and brought more natural light into the living room. In the adjoining office, we replaced a large partner desk with a computer desk, rearranged the storage and filing cabinets and added a rug. Voila!